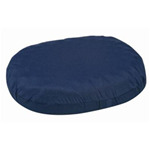 The PediFix Hammer Toe Cushion comforts bent-under toes, sore toe tips. 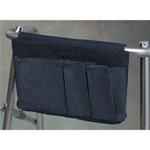 Soft, felt-covered pad supports bent-under hammer, claw, mallet and arthritic toes. Available in different sizes. Acrylic lens with 3x magnification and bifocal insert with 5x magnification. Features a sliding switch. Requires 2 AA batteries (not included). Plastic Curved Shoehorns The curved model has a handle that curves under to grasp easily. 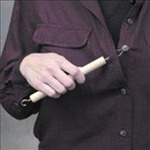 The handle can also be used to pull objects closer. Features a nylon loop for storage. 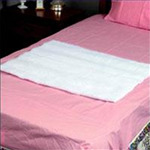 Recommended for individuals who are reclining or bed-confined. 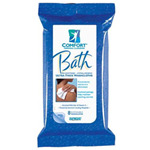 Helps to relieve mild swelling for the home convalescing patient. Available colors: White, Black, Beige. Wing grips allow for easy crushing of hard to swallow pills. Storage area under cap. Translucent clear bottom with opaque blue lid. 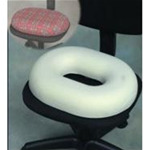 Contoured design for easy pill removal. Color-designated and highlighted AM and PM compartments. Top rack Dishwasher safe .